What can I say about BlazBlue: Alter Memory? Not a lot actually, which is surprising given that I’ve watched it, more surprising when you click on the link and read my review. I actually sat through it and wrote a few hundred words about it, but the show has already faded from my mind. But I can say this with assumed authority; this is one anime that’s for fans of the BlazBlue gaming franchise first and foremost. For everyone else, its incoherent narrative will probably fly right over their heads. Still, it looks pretty. I’m a lot more comfortable talking about Heavy Object Part 2, the conclusion of the action anime, which sees ridiculously gargantuan tanks pitted against each other in a future world torn apart by internecine conflict. I may have been a little noncommittal when I watched Part 1, but Part 2 really cemented what was so good about this show in my mind. To put it simply, Heavy Object is sheer fun. It’s an entertaining action show, light on the drama, and with a deft comic touch when it comes to character interactions. Click on my review to see what unlikely comparison I draw. I rounded off the week with Beyond the Boundary The Movie. Although it’s actually two movies, with I’ll Be Here: Past recapping the series, before Future continues the story. As you might expect, a recap movie is really just a bonus, an afterthought, especially if you have the series to watch, but the Future movie is a worthy continuation to the Beyond the Boundary story, once again focusing on the relationship between the two main characters. It moves their romance on, while acting as a thematic mirror to the series in a very effective way. It’s well written, and it has KyoAni’s trademark eyecandy animation. What’s not to like? Solty Rei. I often poke fun at Studio Gonzo, who quite obviously found a genre and storytelling style that worked for them, and stuck with them for most of their existence as a studio. The futuristic sci-fi drama/adventure/comedy/mystery with a whole heap of characters introduced over 26 episodes, and who all come together for a big boss battle at the end of the series, is a template they applied to practically every series they made following Kiddy Grade. You can see it in shows like Burst Angel, Trinity Blood, Black Cat, Shangri-La, and I have to say that it got pretty tedious after a while. But on occasion, they could take that template and make something really special with it. Witchblade was one such show, and Solty Rei is another. The first, striking difference that you’ll see is an anime that actually has a middle-aged character for a protagonist. Roy Revant lost his family in a disaster, and went from being a kindly policeman into a hard-boiled and brutal bounty hunter. Then one day, during a hunt, a robotic girl literally falls into his life, and changes it forever, and for the better. But there is a whole lot of mystery surrounding this girl that he names Solty. 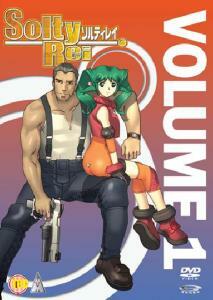 MVM released Solty Rei in the UK back in 2009 across six single volumes. It’s hard to believe but you can probably still find those single releases if you shop around, but it’s far more economical, and space-saving to pick up MVM’s subsequent complete collection on DVD, which is still in print. Here’s my review for volume 1 by the way. 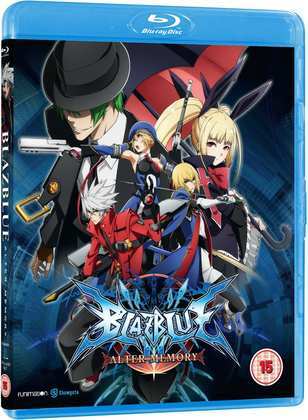 Funimation released BlazBlue: Alter Memory on Blu-ray back on September 25th. 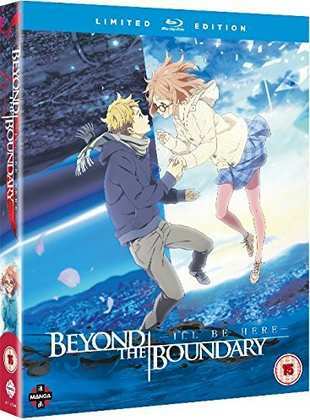 Manga Entertainment’s Beyond the Boundary: The Movie comes out next week on DVD and on Blu-ray/DVD Combo, on October 16th. 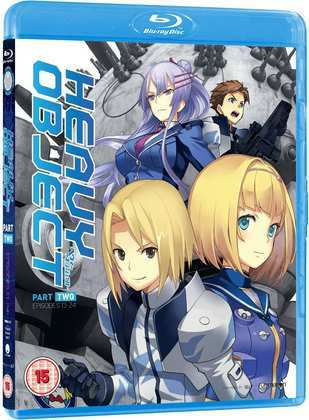 Funimation’s Heavy Object: Part 2 Blu-ray has been pushed back to November 27th.